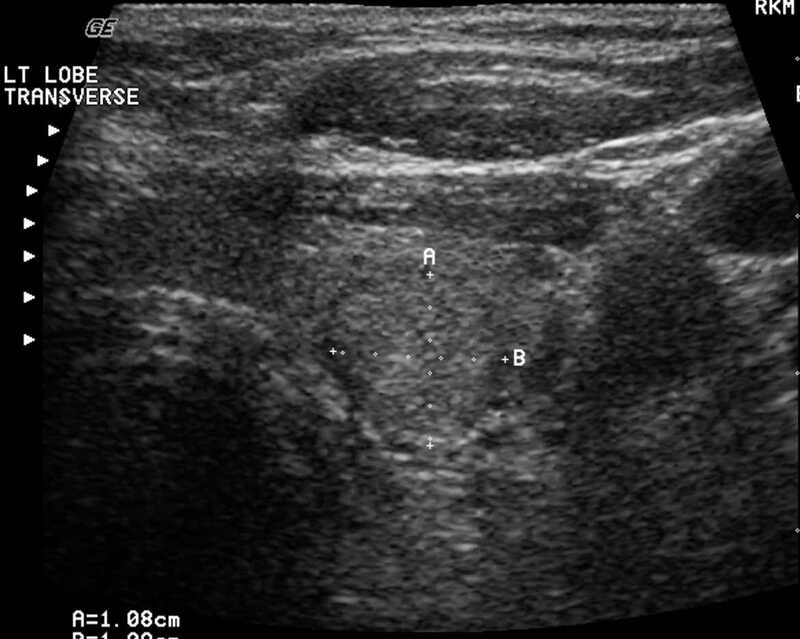 Image 1a and 1b (Ultrasound): Left thyroid lobe nodule measuring up to 14mm which is predominantly high signal with a hypoechoic rim. It is hypervascular on colour Doppler. 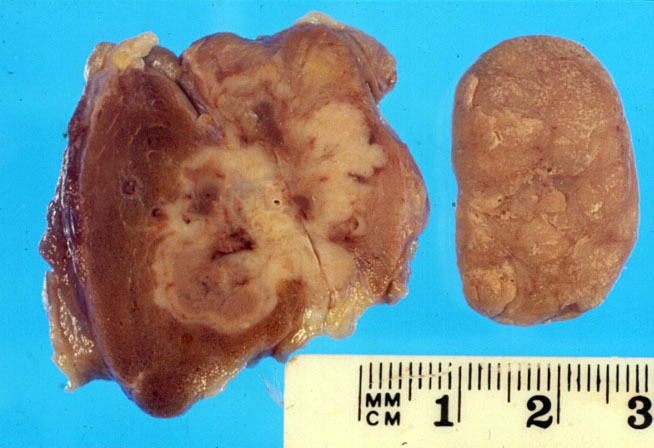 The features are consistent with a malignant nodule which was confirmed on histology. 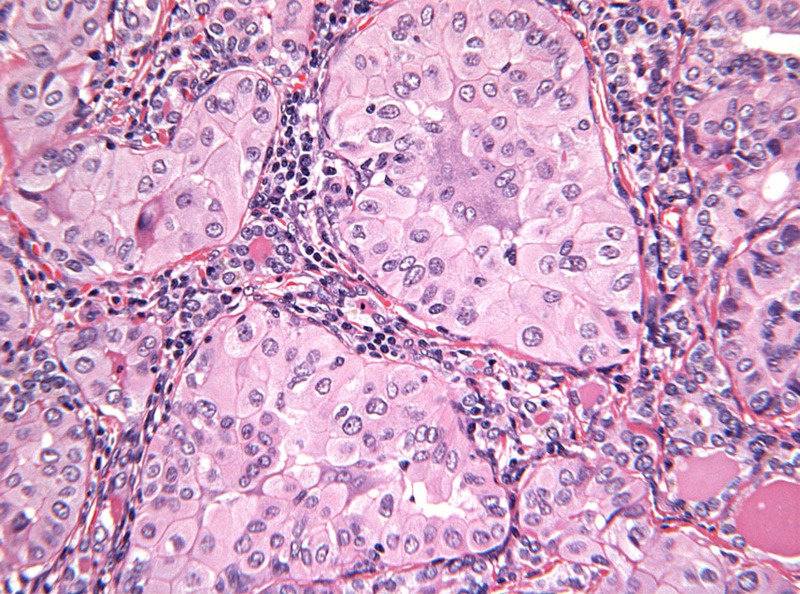 Image 2a and 2b: Thyroidectomy specimen showing an irregular nodule invading through the thyroid parenchyma and into the external capsule. 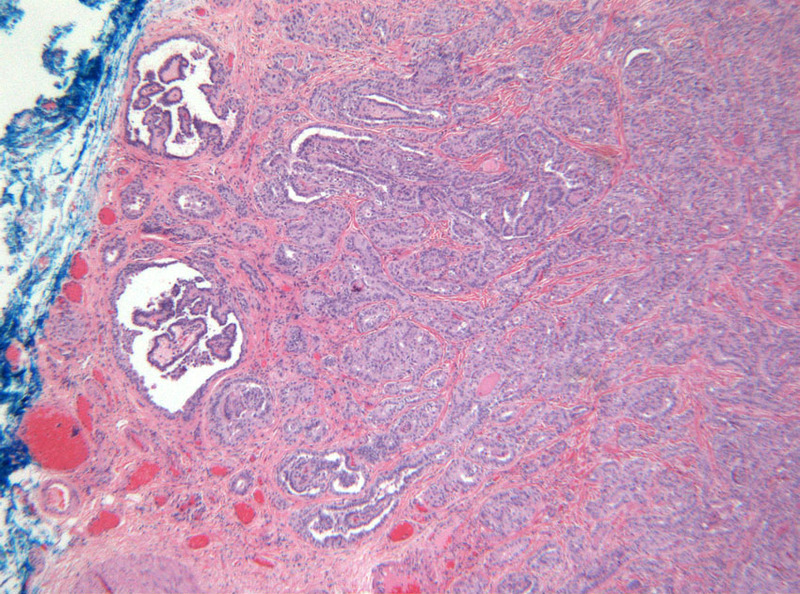 2c Image 2c (H&E, x2.5) and 2d (H&E, x20): Histological sections of a papillary thyroid carcinoma showing malignant cells forming papillary projections overlying fibrovascular cores. The cells demonstrate "Orphan Annie eye" nuclei with finely dispersed optically clear chromatin. Is the patient a high risk patient? 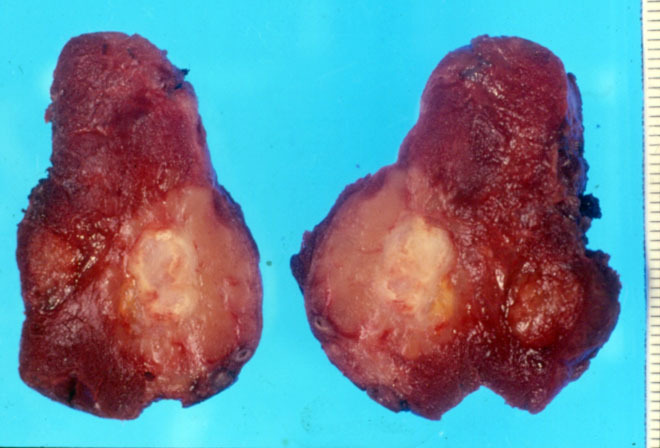 Does the imaged nodule represent a cystic nodule, solid nodule or nodule of a multinodular goitre (MNG)? 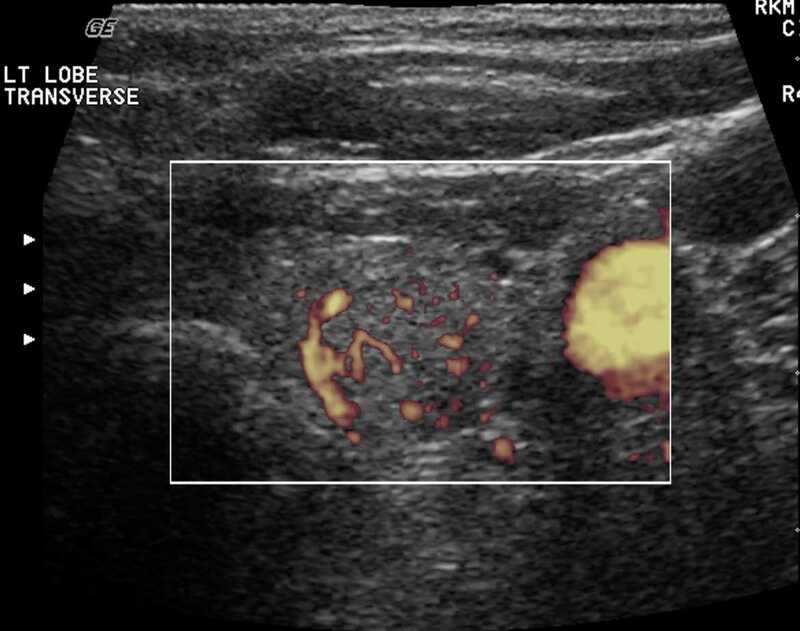 How big is the thyroid nodule and does are there any suspicious features on ultrasound? Is the thyroid nodule an active nodule?